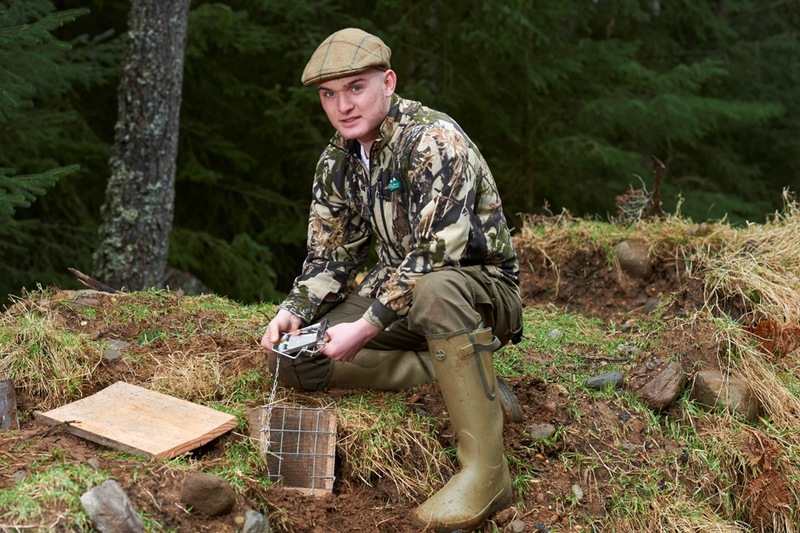 Young gamekeeper Savio Genini has been one of the youth figureheads chosen to highlight the benefit to the economy of Modern Apprenticeships during Scottish Apprenticeship Week. Well done, Savio, from all the SGA. A worthy ambassador for your chosen profession. Game keeping is in Kingussie teenager Savio Genini’s DNA. The 18 year old carried on a family tradition when he became a Game and Wildlife Management Modern Apprentice - Savio’s grandfather was a gamekeeper, as is his uncle. Savio’s day-to-day duties on the Pitmain estate include land management, working to protect habitats, managing deer numbers and preventing disease in the estate’s animal and bird life. But it’s grouse-keeping where Savio’s passion really lies. It was the hands-on nature of his Level 2 apprenticeship that appealed to Savio, he thought the balance of time at North Highland College learning theory and out on the estate building up practical knowledge and skills was just right. He said “You’re not in a classroom a lot of the time, you’re out on the estate putting your theory into practice straight away. Head Keeper at the Pitmain Estate Graham Mabon has been impressed by Savio’s maturity, and his willingness and ability to step up and take responsibility. Graham said: “Savio has already taken guests out stalking stags, as well as leading the line on a grouse hunt. “Those are the kinds of jobs that you need to have a good head on your shoulders for. You have to think ahead, be strategic, and really have control of the situation. That sentiment is echoed by Savio’s training provider North Highland College. Jemma Lowell helps run the Modern Apprenticeship programme there and said: “Savio works hard, he’s committed, and he carries out every task he takes on to the highest possible standard. When he’s not working Savio plays shinty for Kingussie. He was part of the Camanachd Cup winning squad in 2014, and has captained Scotland at under 17 level. Savio works extra hours on the estate so he can take time away for practice and games, so neither his shinty team or his work team suffer.